Swiss quality collets for your production. Rely on the original! The outstanding design paired with our experienced engineering make our ER products one of the most successful toolholding options worldwide. 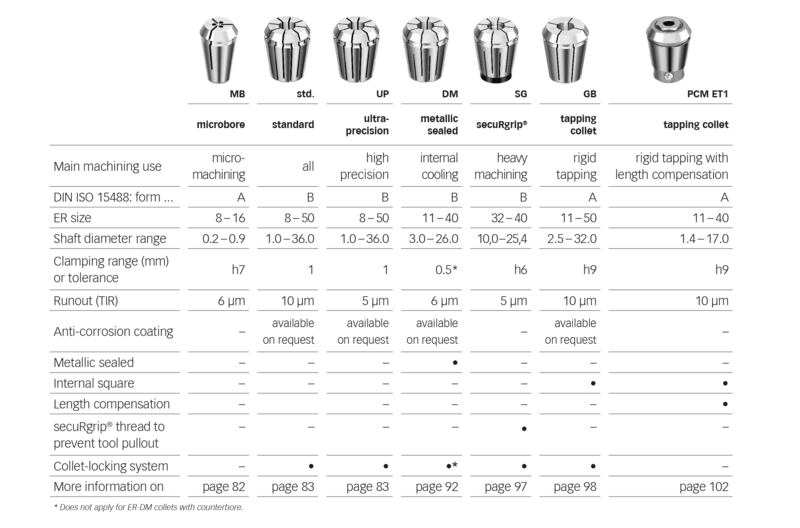 Our wide product range offers the perfect collet for every application. 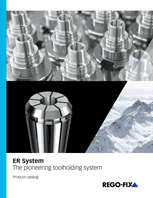 Our wide ER standard product range offers the perfect collet for all standard machining applications. Our wide ER-UP product range offers best runout TIR for high-precision machining. 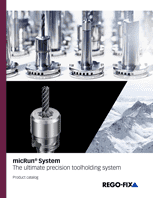 Our ER-MB product range offers the perfect collet for micro-machining. These rigid tapping collets are compatible with taps per DIN, ISO, JIS and ANSI standards. Our ER collets for internal cooling. Tapping collets for rigid tapping with length compensation by PCM. ER secuRgrip clamping collets for maximum security during heavy machining.